I have always been intrigued by the relationship between woodworkers and trees. 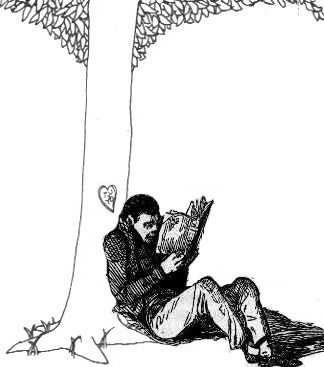 I am reminded of The Giving Tree by Shel Silverstein. 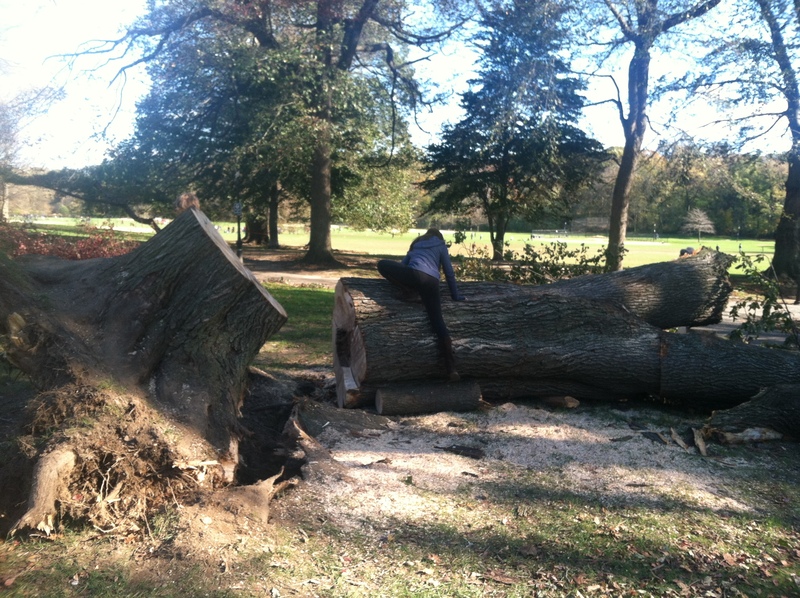 The story of the relationship between a boy and a tree. The boy grows up with with the tree. 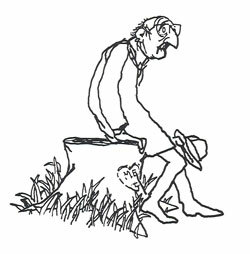 He would climb up the trunk of the tree and play with its branches, take its apples to sell, then its branches for his home, its trunk for a boat and eventually its stump as a stool to rest. I grew up with a love of nature and especially of trees. So complex and so beautiful. We live on Prospect Park in Brooklyn. The park was designed in 1867 by Frederick Law Olmsted and Calvert Vaux, who also designed Central Park. 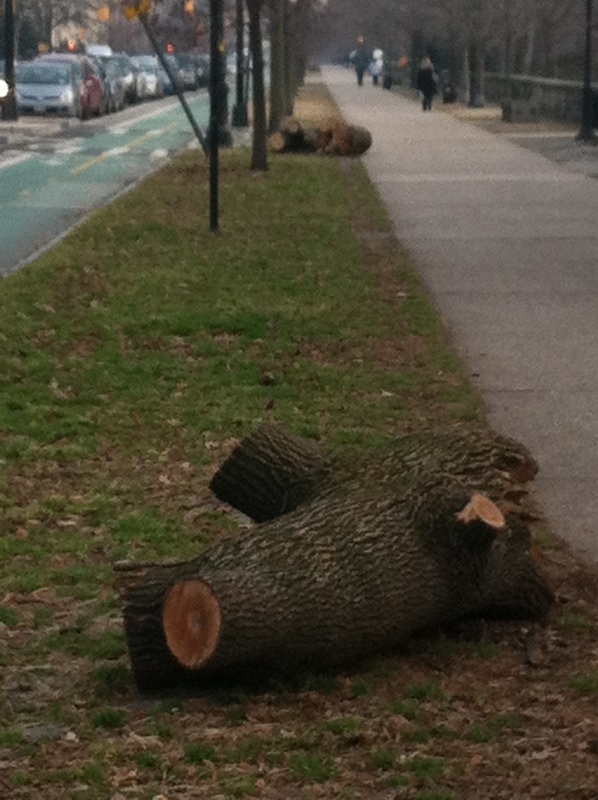 It is the only forest in Brooklyn. That’s right! 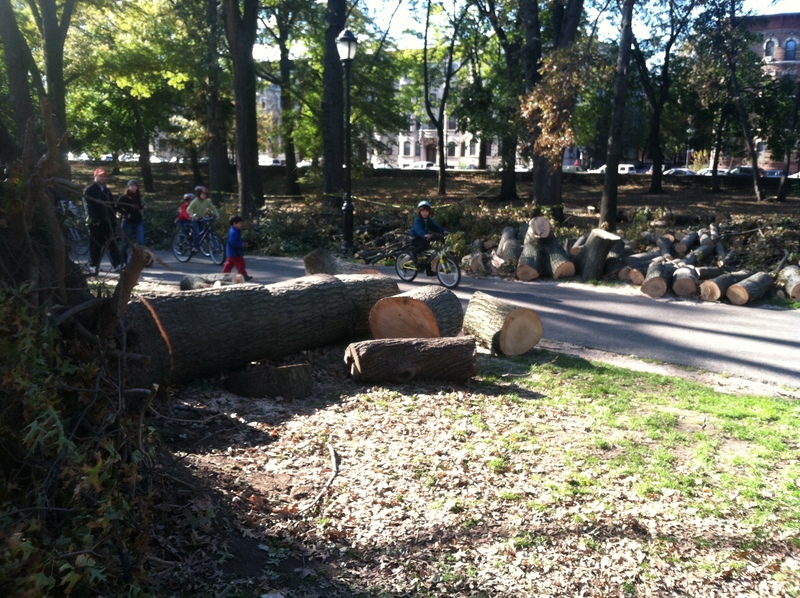 There is not only a tree in Brooklyn, but an entire forest! The park is 585-acres and filled with the most incredible trees this country has to offer. 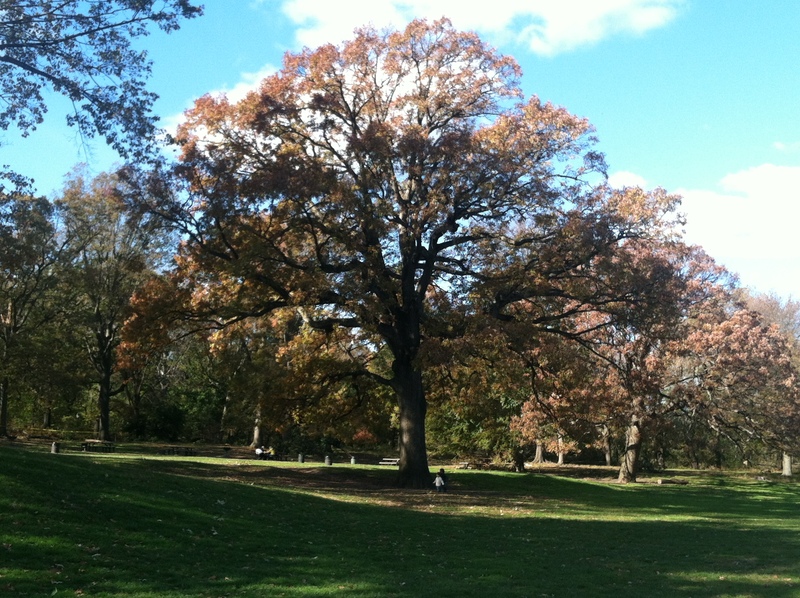 It contains mature trees that were chosen and planted by Olmsted himself. Beautiful specimens create an incredible landscape for a leisurely stroll, weekend picnic or an escape from the bustle on the other side of the tree line. 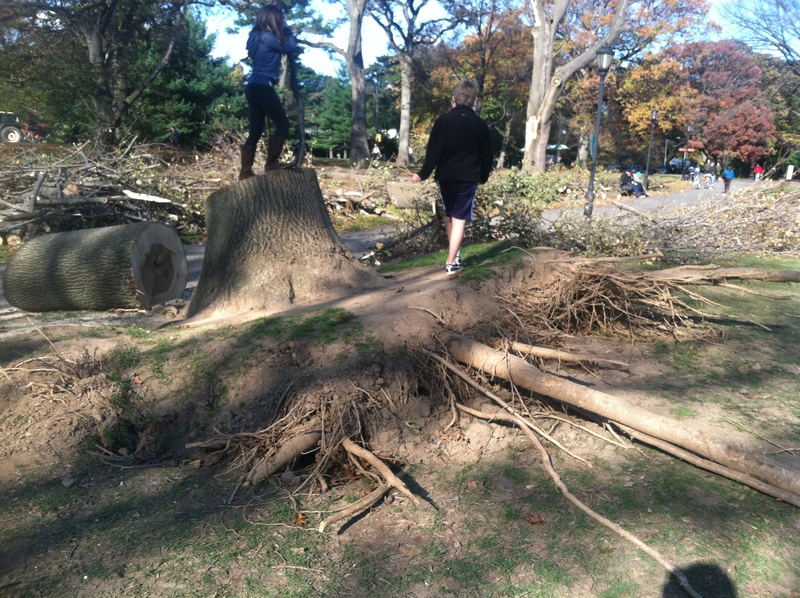 Superstorm Sandy hit NY and NJ pretty hard and it certainly took its toll on the trees of Prospect Park, taking down some enormous trees that will never be able to fully be replaced in my lifetime. After the storm, the family walked through our neighborhood backyard to access the damage. Nature is so incredible how it can turn on itself and take down such massive structures. Our emotions were running high, having just come from the armory where they were collecting clothing, food and basic essentials for those left homeless from the storm. Seeing so many ancient trees torn out of the ground or cracked in half like kindling was surreal. 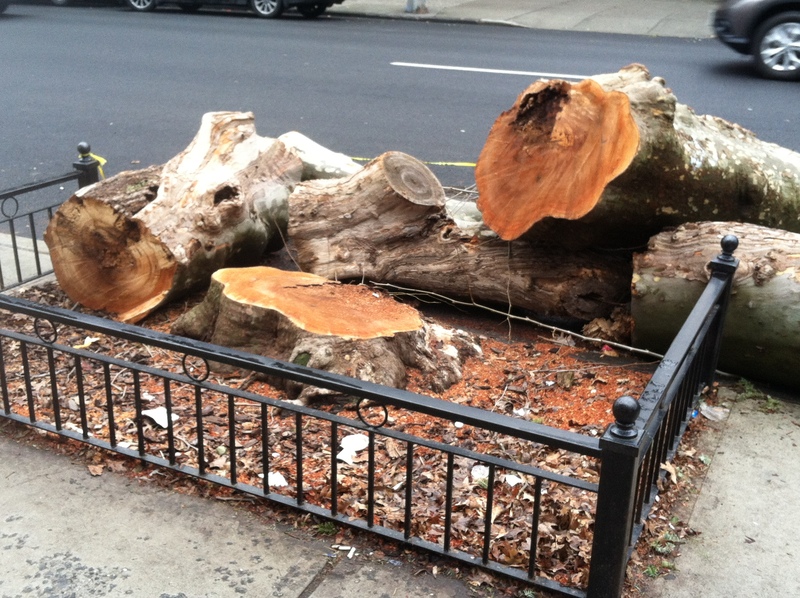 As Brooklynite I was just sad, so many great memories lived surrounding these trees, but as a woodworker I was intrigued and the wheels were turning. It was like being at a beautiful lumber yard. The kids and I counted the rings, just like the families before us. Here was a hickory 36″ trunk, 12-16 feet long. Wow! What a table that would make! Over there a beast sized piece of oak cut on each end of the crotch of multiple limbs. That would make some incredible bookmarked panels, and the turning possibilities are endless. The sad part, as a woodworker, I knew that all this incredible stock was going to be ground up and turned into mulch. While the park may be our “backyard”, we share it with 2.5 million neighbors! And then there’s the whole issue of the back hoe down Flatbush. I did, however, recently discover several NYC wood salvage companies, and found this article regarding the wood from the boardwalks in the Rockaways. I think it’s time to plant a tree.